We have been accustomed to thinking of the speed of light as being a fundamental constant, as it is for propagation through vacuum, or of having a value close to the vacuum speed, as when light propagates through ordinary materials. Yet it has recently become clear that tools exist that can allow one to slow down, speed up, or even completely stop light propagation. This realization has had a profound impact on the optics community, both from the point of view of fundamental science and in that it has led to the exploration of a number of practical applications within modern optical technology. In particular, the concept of slow light has been paid considerable attention since it has been found useful in the field of all-optical photonic networks. The ability to control the propagation speed of light pulses can be used as the basis of a tunable optical delay line, a key element of future all-optical signal processing schemes. It has considerable applications in data synchronization, optical buffer, switch/router, and phased array system, etc. Among several slow light generation techniques proposed so far the stimulated Brillouin scattering (SBS) method using a single-mode optical fiber (SMF) has been paid a special attention due to its several unique advantages over other techniques. These include an arbitrary choice of a resonant frequency through a change in a pump frequency, a relaxed pump power requirement owing to a long interaction length and a small mode area in an SMF, easy implementation with off-the-shelf telecom equipments, and the room-temperature operation. Due to the advantages of high flexibility, large core diameter, low cost, polymer optical fiber (POF) has become a promising transmission medium exhibiting huge applications in the fields of high-speed broadband access, home intelligent local-area-network (LAN), aviation and spaceflight data transmission. We mainly carry out the study of high-speed transmission LAN. Microstructured optical fiber (MOF) is a kind of special optical fiber, specific optical characteristics can be easily realized in MOF by simply changing the hole size, hole spacing or hole shape. We mainly focus on the study of novel MOF's design, nonlinearity and its application in fiber photonic device and system. Long period fiber gratings (LPFGs) have attracted much attention in optical communication systems because of their significance to photonic devices and fiber-optic sensors. We developed two novel schemes for fabricating micro-tapered LPFGs and helical LPFGs, respectively, by periodically tapering and by directly twisting single mode fibers. Superior sensing characteristics of them are studied. In comparison to previously reported works, the quality and extinction ratio of LPFGs are improved considerably. Fiber Bragg grating (FBG) becomes an increasingly important topic in the fiber sensing fields. By cascading the FBGS directly into a fiber and embedding them into buildings, one can realize online measurement of mechanical deformations or structural changes within those buildings. Distributed FBGs are widely used for real time temperature and strain or stress sensing. We focus on studying the fast and high- precision wavelength interrogation techniques. Polarized light, though it cannot be perceived by the unassisted eye, is widely used in optical devices and displays. By detecting the full Stokes vectors of the object light, the image of degree/angle of polarization can be constructed which indicates the object image with a high signal-to-noise ratio. Polarimetric imaging technique has many important applications and the polarization camera has become a widely used tool for industrial, military, medicine, etc. For example, it would become a fast and accurate optical method for detecting cancer and determing the stage of the disease. 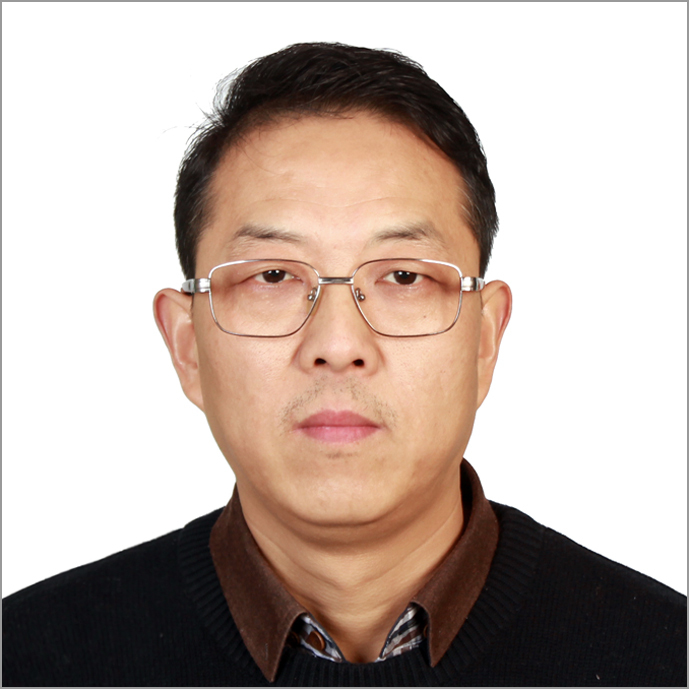 Dr. Liyong Ren is from Shaanxi province, China. He got his S.B. degree in Optoelectronics from the Department of Physics in Northwest University in 1995. Since then he was selected as a college teacher by that university and became a lecturer in 2000. Also at that university he obtained his S.M. degree in Optics in 2000. From March 2001 to February 2004, he began to pursue his doctorate degree in Shanghai Institute of Optics and Fine Mechanics, Chinese Academy of Sciences (CAS), and earned a Ph. D degree in March 2004. After that he joined the State Key Laboratory of Transient Optics and Photonics, Xi'an Institute of Optics and Precision Mechanics (XIOPM), CAS, as an associate professor. He was awarded a JSPS (Japan Society for the Promotion of Science) Postdoctoral Fellowship for Foreign Researchers to conduct a collaborating research in the University of Electro-Communications from May 2007 to April 2009. He became a professor of XIOPM from Jan. 2009. From Nov. 2013, he became the director of Research Department of Information Photonics of XIOPM. He is a Senior member of SPIE, a Senior member of OSA and a member of COS.
1. Wenfei Zhang, Jian Liang, Haijuan Ju, Liyong Ren, Enshi Qu, Zhaoxin Wu，“Study of visibility enhancement of hazy images based on dark channel prior in polarimetric imaging，”Optik，130, 123-130, (2017). 2. Chengju Ma, Liyong Ren, Wenge Guo, Haiwei Fu, Yiping Xu, Yinggang Liu, and Jin Wen，“Numerical investigation of a microfiber-plane-grating composite optical waveguide for gas refractive index sensing,”Applied Optics, 56(19), (2017). 3. Wenfei Zhang, Jian Liang, Liyong Ren, Haijuan Ju, Enshi Qu, Zhaofeng Bai, Yao Tang and Zhaoxin Wu，“Real-time image haze removal using an aperture-division polarimetric camera，”Applied Optics，56(4), 942-947 (2017). 4. Yiping Xu , Liyong Ren, Chengju Ma, Xudong Kong, and Kaili Ren, “Demonstration of a stable and uniform single-wavelength erbium-doped fiber laser based on microfiber knot resonator,” Optical Engineering，55(12)，126111 (2017). 5. Kaili Ren, Liyong Ren, Yingli Wang, Xiao Lin, Jian Liang, Yiping Xu and Haijuan Ju, “Theoretical study on core-mode to radiation-mode coupling in chiral fiber long-period gratings,” Optics & Laser Technology, 92, 150-155 (2017). 6. Chengju Ma, Liyong Ren, Wenge Guo, Haiwei Fu, Yiping Xu, Ying-Gang Liu, and Xiaozhen Zhang,“Wideband slow-light propagation with no-distortion in a nanofiber-plane grating composite waveguide,”Optical Engineering, 55(6), 066120(2016). 7. Jian Liang, Wenfei Zhang, Liyong Ren, Haijuan Ju, and Enshi Qu，“A polarimetric dehazing method for visibility improvement based on visible and infrared image fusion，”Applied Optics, 55(29), 8221-8226 (2016). 8. Kaili Ren, Liyong Ren, Jian Liang, Xudong Kong, Haijuan Ju, Yiping Xu, and Zhaoxin Wu，“Online fabrication scheme of helical long-period fiber grating for liquid-level sensing，”Applied Optics，55(34), 9675-9679 (2016). 9. Yadong Wang，Xuetao Gan，Chenyang Zhao, Liang Fang, Dong Mao, Yiping Xu, Fanlu Zhang, Teli Xi, Liyong Ren, Jianlin Zhao, “All-optical control of microfiber resonator by graphene’s photothermal effect,” Applied Physics Letters, 108, 171905 (2016). 10. Yiping Xu, Liyong Ren, Chengju Ma, Xudong Kong, and Kaili Ren，“Slow light and fast light in microfiber double-knot resonator with a parallel structure，”Applied Optics，55(30), 8612-8617 (2016). 11. Wenfei Zhang, Jian Liang, Haijuan Ju, Liyong Ren, Enshi Qu and Zhaoxin Wu，“A robust haze-removal scheme in polarimetric dehazing imaging based on automatic identification of sky region,” Optics & Laser Technology, 86, 145-151 (2016). 12. Jian Liang, Liyong Ren, Haijuan Ju, Wenfei Zhang, Enshi Qu, “A polarimetric dehazing method for dense haze removal based on distribution analysis of angle of polarization,” Opt. Express, 23(20), 26146-26157 (2015). 13. Xuejiao Li, Liyong Ren, Xiao Lin, Haijuan Ju, Nana Chen, Jian Liang, Kaili Ren, Yiping Xu，“Improved multiple-wavelength Brillouin–Raman fiber laser assisted by four-wave mixing with a micro-air cavity,” Applied Optics, 54(33), 9919-9924 (2015). 14. Yiping Xu , Liyong Ren, Jian Liang, Chengju Ma, Yingli Wang, Xudong Kong, and Xiao Lin, “Wideband slow light in microfiber double-knot resonator with a parallel structure”, J. Applied Physics, 118, 073105 (2015). 15. Chengju Ma, Liyong Ren, Yiping Xu, Yingli Wang, Hong Zhou, Fu Wei, Jin Wen, “Theoretical and experimental study of structural slow light in a microfiber coil resonator,” Applied Optics, 54(18), 5619-5623 (2015). 16. Yiping Xu, Liyong Ren, Yingli Wang, Xudong Kong, Jian Liang, Kaili Ren, Xiao Lin, “Enhanced slow light in microfiber double-knot resonator with a Sagnac loop reflector,” Optics Communications, 350, 148-153 (2015). 17. Yiping Xu, Liyong Ren, Yingli Wang, Xudong Kong, Jian Liang, Haijuan Ju, Dun Qiao, “Slow-light effect in microfiber double-knot resonator with a parallel structure,” Acta Photonica Sinica, 44(5), 0506002-1-0506002-6 (2015). 18. Yiping Xu, Liyong Ren, Chengju Ma, Yingli Wang, Xudong Kong, Jian Liang, Haijuan Ju, “Theoretical and experimental study on spectral characteristics of microfiber double-knot resonator with different structures,” Acta Photonica Sinica, 44(4), 0406001-1-0406001-7 (2015). 19. Xinchao Du, Zhengquan He, Xiao Lin, Libin Zhou, Baowen Hu, Baoke Luo, Xiaoyi Guo, Depeng Kong, Liyong Ren, Yulin Li, “Low-cost robust polymer optical fiber temperature sensor based on FIR method for in situ measurement”, Acta Photonica Sinica, 44(4), 0406003-1-0406003-7 (2015). 20. Xinchao Du, Libin Zhou, Zhengquan He, Feng Liu, Xiao Lin, Baowen Hu, Xiaoxi Guo, Baoke Luo, Liyong Ren, Yulin Li, “A fiber-optic temperature sensor based on dual fluorescence by using FIR method”, Chin. J. of Lasers, 42(8), 0805002 (2015). 21. Yidan Dai, Enshi Qu, Liyong Ren, “Rapid modeling method of LED free-form surface lens based on Scheme language,” Infrared and Laser Engineering, 44(9), 2690-2695 (2015). 22. Jian Liang, Liyong Ren, Haijuan Ju, Enshi Qu, Yingli Wang, “Visibility enhancement of hazy images based on a universal polarimetric imaging method,” J. Appl. Phys., 116，173107 (2014). 23. Xiao Lin, Liyong Ren, Yiping Xu, Nana Chen, Haijuan Ju, Jian Liang, Zhengquan He, Enshi Qu, Baowen Hu, Yulin Li, “Low-cost multipoint liquid-level sensor with plastic optical fiber,” IEEE Photonics Technology Letters, 26(16), 1613-1616 (2014). 24. Yiping Xu, Liyong Ren, Chengju Ma, Jian Liang, “Theoretical study on slow light in different structures of optical microfiber knot resonators (OMKRs),” Optik, 125, 2856-2861 (2014). 25. Jian Liang, Liyong Ren, Enshi Qu, Bingliang Hu, Yingli Wang, “A new method for enhancing visibility of hazy images based on polarimetric imaging,” Photonics Research, 2(1), 38-44 (2014). 26. Yiping Xu, Liyong Ren, Jian Liang, Chengju Ma, Yingli Wang, and Nana Chen, Enshi Qu, “A simple, polymer-microfiber-assisted approach to fabricating the silica microfiber knot resonator,” Optics Communications, 321, 157-161 (2014). 27. Chengju Ma, Liyong Ren, Yiping Xu, Yingli Wang, Jian Liang, Enshi Qu, “Design and fabrication of tapered microfiber waveguide with good optical and mechanical performance,” Journal of Modern Optics, 61(8), 683-687 (2014). 28. Yiping Xu, Liyong Ren, Chengju Ma, Yingli Wang, Jian Liang, Enshi Qu, “Wide-bandwidth and zero-dispersion slow light in MKRs with two-ring parallel connection structure based on an analogue of electromagnetically induce transparency”, Journal of Modern Optics, 61(13), 1109-1114 (2014). 29. Menghua Kang, Yingli Wang, Liyong Ren, Jintao Xu, Jian Liang, Enshi Qu, “Design of vibration-insensitive Sagnac fiber-optic current sensors using spun high-birefringence fibers”, Journal of Modern Optics, 61(14), 1120-1126 (2014). 30. Haijuan Ju, Liyong Ren, Xiao Lin, Jian Liang, Chengju Ma, “Wide-range continuously-tunable slow-light delay line based on stimulated Brillouin scattering,” IEEE Photonics Technology Letters, 25(19), 1920-1923 (2013). 31. Nana Chen, Jian Liang，Liyong Ren，“High-birefringence, low-loss porous fiber for single-mode terahertz-wave guidance”，Applied Optics，52(21), 5297-5302 (2013). 32. Xiao Lin, Liyong Ren, Jian Liang, “Nondestructive scheme for measuring the attenuation coefficient of polymer optical fiber,” Optics Letters, 38(4), 528-530 (2013). 33. Xiao Lin, Liyong Ren, Enshi Qu, Jian Liang, Haijuan Ju, “Theoretical and experimental study on nonintrusive light injection via cladding in plastic optical fibers”, J. Lightwave Technology, 31(3), 359-365 (2013). 34. Jian Liang, Liyong Ren, Nana Chen, Changhe Zhou, “Broadband, low-loss, dispersion flattened porous-core photonic bandgap fiber for terahertz (THz)-wave propagation,” Optics Communications, 295, 257-261 (2013). 35. Haijuan Ju, Liyong Ren, Jian Liang, Chengju Ma, “Stability-improved slow light in polarization-maintaining fiber based on polarization-managed stimulated Brillouin scattering,” J. of Optics, 15, 035404, (2013). 36. Chengju Ma, Liyong Ren, Enshi Qu, Feng Tang, Quan Liang, “Modeling and testing of static pressure within an optical fiber cable spool using distributed fiber Bragg gratings,” Optics Communications, 285(24), 4949-4953 (2012). 37. Chengju Ma, Liyong Ren, Yiping Xu, “Slow-light element for tunable time delay based on optical microcoil resonator,” Applied Optics, 51(26), 6295-6300 (2012). 38. Maojin Yun, Yong Wang, Jian Liang, Feng Xia, Meiling Liu, Liyong Ren, “Multi-channel biosensor based on photonic crystal waveguide and microcavities”, Optik, 123, 1920-1922, (2012). 39. Jian Liang, Liyong Ren, Maojin Yun, Xingjun Wang, “Wideband slow light with ultralow dispersion in a W1 photonic crystal waveguide”, Applied Optics, 50(31), G98-G103 (2011). 40. Jian Liang, Liyong Ren, Maojin Yun, Xu Han, Xingjun Wang, “Wideband ultraflat slow light with large group index in a W1 photonic crystal waveguide”, J. Applied Physics, 110(6), 063103 (2011). 41. Yani Zhang, Liyong Ren, Yongkang Gong, Xiaohui Li, Leiran Wang, Chuandong Sun, “Design and optimization of highly nonlinear low-dispersion crystal fiber with high birefringence for four-wave mixing,” Applied Optics, 49(16), 3208-3214(2010). 42. Zuoliang Duan, Liyong Ren, Yani Zhang, Hanyi Wang, Baoli Yao, Wei Zhao, “Theoretical and experimental study of polarization characteristics of polarization maintaining fiber based on wavelength-sweeping modulation,” Microwave and Optical Technology Letters, 52(7), 1466-1469 (2010). 43. Liyong Ren and Yasuo Tomita, “Transient and nonlinear analysis of slow-light pulse propagation in an optical fiber via stimulated Brillouin scattering,” J. Opt. Soc. Am. B，26(7), 1281-1288 (2009). 44. Liyong Ren and Yasuo Tomita, “Reducing group-velocity-dispersion-dependent broadening of stimulated Brillouin scattering slow light in an optical fiber by use of a single pump laser,” J. Opt. Soc. Am. B, 25(5), 741-746 (2008). 45. Shihe Wang, Liyong Ren, Yu Liu, and Yasuo Tomita, “Zero-broadening SBS slow light propagation in an optical fiber using two broadband pump beams,” Opt. Express, 16(11), 8067-8076 (2008). 46. Liyong Ren, Hanyi Wang, Yani Zhang, Baoli Yao, Wei Zhao, “Theoretical design of single polarization single mode microstructured polymer optical fibers,” Chin. Phys. Lett., 24(5), 1298-1301 (2007). 47. Yani Zhang，Runcai Miao，Liyong Ren，Hanyi Wang，Lili Wang，Wei Zhao, “Polarization properties of elliptical core non-hexagonal symmetry polymer photonic crystal fiber,” Chinese Physics, 16(6), 1719-1724 (2007). 48. Yani Zhang, Liyong Ren, Kang Li, Hanyi Wang, Wei Zhao, Lili Wang, Runcai Miao, Maryanne C. J. Large, Martijn A. van Eijkelenborg, “Guiding mode in elliptical core microstructured polymer optical fiber,” Chin. Opt. Lett., 5(4), 194-196 (2007). 49. Neimule Menke, Baoli Yao, Yingli Wang, Yuan Zheng, Ming Lei, Liyong Ren, Guofu Chen, Yi Chen, Meigong Fan, and Tiankai Li, “Optical image processing using the photoinduced anisotropy of pyrrylfulgide,” J. Opt. Soc. Am A, 23 (2), 267-271 (2006). 50. Yani Zhang, Kang Li, Lili Wang, Liyong Ren, Wei Zhao, Runcai Miao, Maryanne C. J. Large, and Martijn A. van Eijkelenborg, “Casting preforms for microstructured polymer optical fibre fabrication,” Opt. Express, 14 (12), 5541-5547 (2006). 51. Baoli Yao, Ming Lei, Liyong Ren, Neimule Menke, Yingli Wang, Thorsten Fischer, Norbert Hampp. “Polarization multiplexed write-once-read-many optical data storage in bacteriorhodopsin films,” Optics Letters, 30 (22), 3060-3062, (2005). 52. Qinjun Peng, Guiling Wang, Yong Bo, Xinjun Guo, Aicong Geng, Zuyan Xu, Liyong Ren, Yani Zhang, Yishan Wang, Wei Zhao, Lili Wang “Highly efficient tunable tapered-polymer-fiber lasers, ” Applied Physics Letters，87, 251101-1-251101-3 (2005). 53. Baoli Yao, Yingli Wang, Neimule Menke, Ming Lei, Yuan Zheng, Liyong Ren, Guofu Chen, Yi Chen and Meigong Fan. “Optical properties and applications of photochromic fulgides,” Molecular Crystals and Liquid Crystals, 430, 211-219 (2005). 54. Lili Wang, Yani Zhang, Liyong Ren, Xuezhong Wang, Wei Zhao, “A new approach to mass fabrication technology of microstructured polymer optical fiber preform,” Chin. Opt. Lett., 3, s94-s97 (2005). 55. Liyong Ren, Liren Liu, Dean Liu, Jifeng Zu, Zhu Luan, “Optimal switching from recording to fixing for high diffraction from a LiNbO3:Ce:Cu photorefractive nonvolatile hologram,” Opt. Lett., 29(2), 186-188 (2004). 56. Liyong Ren, Liren Liu, Dean Liu, Baoli Yao, “Dynamic characteristics of holographic recording and fixing in LiNbO3:Ce:Cu crystal,” Optics Commun. 238, 363-369 (2004). 57. Qianmin Dong, Liren Liu, Dean Liu, Cuixia Dai, Liyong Ren, “Effect of dopant composition ratio on nonvolatile holographic recording in LiNbO3:Cu:Ce crystals,” Applied Optics, 43(26), 5016-5022 (2004). 58. Dean Liu, Liren Liu, Liyong Ren, Zhu Luan, Y. Zhou, “Material optimization for low scattering noise during nonvolatile holographic recording in doubly doped LiNbO3 crystals,” Chin. Opt. Lett., 2(11), 630-633 (2004). 59. Liyong Ren, Liren Liu, Dean Liu, Jifeng Zu, Zhu Luan, “Recording and fixing dynamics of nonvolatile photorefractive holograms in LiNbO3:Fe:Mn crystals,” J. Opt. Soc. Am. B, 20 (10), 2162-2173 (2003). 60. Liyong Ren, Liren Liu, Dean Liu, Changhe Zhou, Guangao Li, “Experimental and theoretical study of non-volatile photorefractive holograms in doubly doped LiNbO3:Fe:Cu,” Optical Materials, 23/1-2, 261-267 (2003). 61. Baoli Yao, Liyong Ren, X. Hou, “Z-scan theory based on a diffraction model,” J. Opt. Soc. Am B 20 (6), 1290-1294 (2003). 62. Liyong Ren, Baoli Yao, X. Hou, Liren Liu, Changhe Zhou, “Analyses and computations of asymmetric Z-scan for large phase shift from diffraction theory,” Chin. Opt. Lett., 1(2), 111-113 (2003). 63. Dean Liu, Liren Liu, Changhe Zhou, Liyong Ren, Guangao Li, “Nonvolatile holograms in LiNbO3:Fe:Cu by use of the bleaching effect,” Appl. Opt., 41(32), 6809-6814 (2002). 64. Dean Liu, Liren Liu, Changhe Zhou, Liyong Ren, Guangao Li, “Bleaching effect and nonvolatile holographic storage in doubly doped LiNbO3:Fe:Cu crystals,” Chin. Sci. Bull., 47(20), 1704-1707 (2002). 1. Liyong Ren, Wenfei Zhang, Jian Liang, Haijuan Ju, Zhaofeng Bai, Enshi Qu, Zhaoxin Wu，“An aperture-division full-stokes vector polarimetric camera and its polarimetric imaging applications，”Optics & photonics International Congress, 18-21 April 2017, IP-19PM-2-7, Yokohama, Japan. (2017). 2. Liyong Ren, Kaili Ren, Xudong Kong, Jian Liang, Haijuan Ju, Zhaoxin Wu, “Novel long-period fiber gratings：fabrication and sensing applications,” Conference on Lasers and Electro-Optics (CLEO 2017), 14-19 May, 2017, San Jose, USA. (2017). 3. Jian Liang, Wenfei Zhang, Liyong Ren, Haijuan Ju, Zhaofeng Bai, Enshi Qu, “Visibility enhancement of hazy images using polarimetric dehazing method based on stokes parameters,” Conference on Lasers and Electro-Optics (CLEO 2017), 14-19 May, 2017, San Jose, USA. (2017). 5. Liyong Ren, Yiping Xu, Yingli Wang, Chengju Ma, Xudong Kong, Jian Liang, Haijuan Ju, Kaili Ren, Xiao Lin, Xuejiao Li, “Optical microfiber knot resonator (MKR) and its slow-light performance,” AOM 2015, The 5th Advances in Optoelectronics and Micro/nano-optics, Hangzhou, 28-31 Oct 2015 (Invited talk, I070). 7. Liyong Ren, Jian Liang, Yu Liu, Haijuan Ju, Maojin Yun, Chengju Ma, Xu Han, Xiao Lin and Yasuo Tomita,“Slow-light in photonic crystal waveguides/fibers: dispersion tailoring schemes for obtaining a high group index with wide band and low GVD”, SPIE Photonics West 2012, San Francisco, Proc. of SPIE, Vol 8273, 82730L, Jan 21-26, 2012（invited talk）. 8. Liyong Ren, Xiao Lin, Jian Liang, Changhe Zhou, “Online measuring transmission loss of polymer optical fiber based on nonintrusive light injection and extraction via fiber cladding”, 2012 Beijing International Forum on Science and Technology, Beijing 13-16 Nov. 2012. (invited talk). 9. Liyong Ren and Yasuo Tomita, “SBS-based slow light in optical fibers: optimum design considerations for undistorted slow-light signal propagation in steady-state and transient regimes,” SPIE Photonics West, held in San Jose, CA, USA, Proc. of SPIE Vol. 7226, 722605-1-722605-14, (invited paper), Jan. 24-29 (2009). 10. Liren Liu, Liyong Ren, Dean Liu, Zhu Luan, Lingyu Wan, “Optimal switching time for recording and fixing phases during nonvolatile holographic storage in doubly doped LiNbO3 crystals,” SPIE 49th Annual Meeting, Proc. of SPIE. Vol 5560, 228-234, Aug. 1, 2004 (2004), (invited paper). 11. Wang Yingli, Kang Menghua, Ren Liyong, Ren Kaili, Xu Jintao and Shi Nianbao, “A novel compensation fiber coil for eliminating Sagnac Effect in fiber optic current sensor”, Proceeding of 32nd Chinese Control Conference, Xi’an , July 26-28, (2013). 12. Yingli Wang, Liyong Ren, Jintao Xu, Menghua Kang, Kaili Ren, Nianbao Shi. “The compensation of Y waveguide temperature drifts in FOG with the thermal resistor”, Advanced Materials Research, 924, 336-342 ((2014). 13. Yidan Dai, Enshi Qu, Liyong Ren, Xinchao Du, Haijuan Ju, “The design of freeform surface Fresnel lens used for LED uniform illumination”, Applied Mechanics and Materials, 571-572, 976-979, (2014). 14. Yiping Xu, Liyong Ren, Yingli Wang, Jian Liang, Haijuan Ju, “Slow light in microfiber double-knot resonator with a parallel structure”, AOM 2014, The 4th Advances in Optoelectronics and Micro/nano-optics, Xi’an, 17-20 September 2014, Or_E_04, 168. 15. Yingli Wang, Liyong Ren, Yiping Xu, Chengju Ma, Jian Liang, “The optical trapping and microbubble generation using a defect-decorated microfiber”, AOM 2014, The 4th Advances in Optoelectronics and Micro/nano-optics, Xi’an, 17-20 September 2014, Po_D_06, 224. 16. Yingli Wang, Menghua Kang, Liyong Ren, Yiping Xu, Jian Liang, Jintao Xu, Hui Cao, “The vibration-insensitive Sagnac fiber-optic current sensors with spun high-birefringence fibers”, AOM 2014, The 4th Advances in Optoelectronics and Micro/nano-optics, Xi’an, 17-20 September 2014, Po_D_07, 225. 17. Xinchao Du, Zhengquan He, Libin Zhou, Baowen Hu, Baoke Luo, Xiaoyi Guo, Liyong Ren, Yulin Li, “An optical fiber temperature sensor based on dual-fluorescence by FIR method”, AOM 2014, The 4th Advances in Optoelectronics and Micro/nano-optics, Xi’an, 17-20 September 2014, Po_D_14, 232. 18. Liyong Ren, Jian Liang, Maojin Yun, “Hollow-core photonic bandgap fiber with microfluid-infiltrated air holes for slow-light propagation,” SPIE Optics and Photonics 2012 (San Diego), Proc. of SPIE, Vol. 8497, 849710-1-849710-7，Aug. 12-16, (2012). 19. Liyong Ren, Chengju Ma, Enshi Qu, Feng Tang, and Xu Han, “Analysis and study of static pressure distribution in an optical cable spool using distributed fiber Bragg gratings,” 3rd Asia-Pacific Optical Sensors Conference 2012 (APOS2012) (Sydney), Proc. of SPIE, Vol. 8351, 835119, Jan. 31-Feb 3, (2012). 20. Liyong Ren, the 5th International Conference on Ultra Intense Lasers (Mamaia,Romania), Sep 16-21, 2012. 21. Jian Liang, Liyong Ren, Maojin Yun, Xingjun Wang, “Large group-index slow light with wide band and low dispersion in a W1 photonic crystal waveguide,” the Fifth International Conference on Nanophotonics (ICNP2011), May 22-26, 2011, Shanghai (2011). 22. Liyong Ren, Yasuo Tomita, Xu Han, Chengju Ma, Yu Liu, “On the slow-light pulse propagation in optical fibers via stimulated Brillouin scattering,” The 2010 International Symposium on Ultra-fast Phenomena and Terahertz Waves (ISUPTW 2010), Sept. 12-16, 2010, Xi’an, P144 (2010). 23. Liyong Ren，Yanlong Yang, Wei Zhao and Yasuo Tomita, “Spatial and temporal evolution of transient stimulated-Brillouin-scattering slow-light pulse in an optical fiber,” SPIE Photonics West 2010, held in San Francisco, CA, USA, Proc. of SPIE Vol. 7612, 761207-1-761207-8, Jan. 23-28, (2010). 24. Liyong Ren and Yasuo Tomita, “Brillouin slow light of sub-nanosecond pulse in an optical fiber using double broadband pumps,” Japanese Society of Applied Physics, The 56th Spring Meeting, March 30-April 2, 2009, in Tsukuba, pp. 1245 (2009). 25. Liyong Ren and Yasuo Tomita, “A new method of spectral SBS gain tailoring for slow light in a single-mode optical fiber”, Japanese Society of Applied Physics, The 55th Spring Meeting, March 27-30, 2008, in Tokyo, pp. 1230 (2008). 26. Liyong Ren and Yasuo Tomita, “Distortion management of SBS slow light in a single-mode optical fiber by optimization of broadband SBS gain spectrum,” SPIE Photonics Europe, April 7-11, 2008, in Strasbourg, France, Photon management III, Proc. of SPIE Vol. 6994, 69940G (2008). 27. Liyong Ren and Yasuo Tomita, “Low pulse-broadening SBS slow light in optical fibers using two broadband pump beams,” Japanese Society of Applied Physics, The 69th Autumn Meeting, Sept. 2-5, 2008, in Nagoya, pp. 1045 (2008). 28. Liyong Ren and Yasuo Tomita, “Distortion management of wide bandwidth SBS slow light in a single-mode optical fiber by using two broadband pump beams,” Optics & Photonics Japan 2007, in Osaka, Nov 26-28, 2007, p.586-587. 29. Liyong Ren and Yasuo Tomita, “Reducing GVD-dependent broadening of SBS slow light in an optical fiber by use of a single cw pump laser,” University of Electro-Communications 21st Century COE Program, International Symposium on Coherent Optical Science, in Tokyo, Dec 15, 2007, p.26. 30. Liyong Ren, Hanyi Wang, Yani Zhang, Lili Wang, Wei Zhao, “Theoretical Design and Performance Evaluation of Polarization-Maintaining Microstructured Polymer Optical Fibers,” the 15th International Conference on Polymer Optical Fiber (ICPOF2006) held in Seoul, Korea, Sep. 11-14, 2006, ICPOF2006, 251-255 (2006). 31. Liyong Ren, Hanyi Wang, Yani Zhang, Lili Wang, Xuezhong Wang, Baoli Yao, Wei Zhao, “Study progress of polymer optical fibers in XIOPM,” 2006 China-Italy Bilateral Workshop, Xi’an, Oct. 24-26 (2006). 32. Yani Zhang, Lili Wang, Liyong Ren, Tonghai Li, Xuezhong Wang, Wei Zhao, Runcai Miao. “Fabrication of microstructured polymer optical fiber preform,” Proc. of SPIE，2006, Vol 6149, 61491Y-61496Y (2006). 33. Baoli Yao, Yingli Wang, Neimule Menke, Ming Lei, Liyong Ren, Shouzhi Pu, “Polarization holograms recording in photochromic diarylethenes polymeric film,” Proc. of SPIE, Vol 6343 II, Photonics North 2006, 2006, p 63432Z (2006). 34. Baoli Yao, Yingli Wang, Neimule Menke, Ming Lei, Liyong Ren, Zhiwei Ren, “Properties and applications of bacteriorhodopsin-films as dynamic holographic recording media,” Trends in Optics and Photonics (TOPS) Vol 99, 300-306 (2005), The 10th International Conference on Photorefractive Effects, Materials and Devices (PR2005), Sanya, P. R. China, 2005 July 19-23. (2005). 35. Liyong Ren, Baoli Yao, Neimule MenKe, Lili Wang, Yongfa Kong, “Dynamic characteristics of holographic recording and fixing in doubly doped LiNbO3 crystal,” Trends in Optics and Photonics (TOPS) Vol 99, 398-404 (2005), The 10th International Conference on Photorefractive Effects, Materials and Devices (PR2005), Sanya, P. R. China, 2005 July 19-23 (2005). 36. Baoli Yao, Neimule Menke, Zhiwei Ren, Yingli Wang, Yuan Zheng, Ming Lei, Liyong Ren, G.uofu Chen and Norbert Hampp, “Fourier-Transform Polarization Holographic Data Storage in Bacteriorhodopsin Film,” in International Symposium on Optical Memory and Optical Data Storage(ISOM/ODS), Honolulu, Hawaii, July 10, 2005, OSA Technical Digest Series (Optical Society of America, paper MP14, (2005). 37. Liyong Ren, Baoli Yao, Lili Wang, Yongfa Kong, Neimule MenKe, Zhiwei Ren, Ming Lei, “Real-time non-destructive testing of dynamic holograms in doubly-doped LiNbO3 crystals using phase-conjugate technique,” ISOS’2005, April 2-6, Zhanjiang, 7th International Symposium on Optical Storage. Proc. of SPIE Vol. 5966, p. 59660V-1－59660V-4 (2005). 38. Qingling Qu, Yang Wang, Liyong Ren, Jingsong Wei, Fuxi Gan, “Gaussian diffraction model for Sb thin films in super-resolution near-field structure,” ISOS’2005, April 2-6, Zhanjiang, 7th International Symposium on Optical Storage. Proc. of SPIE Vol. 5966, 59661A-1－59661A-5 (2005). 39. Liyong Ren, Yani Zhang, Xuezhong Wang, Yulin Li, Wei Zhao and Lili Wang, “Fabrication and characteristics of Rhodamine-doped microstructured polymer optical fibers,” Proc 143-146, ICPOF2005, Sep 20-22, HongKong, 14th International Conference on Polymer Optical Fiber. (2005). 40. Yani Zhang, Lili Wang, Liyong Ren, Xuezhong Wang, Runcai Miao, Wei Zhao, “Fabrication and characterization of microstructured polymer optical fiber with elliptical core,” Proc 81-84, ICPOF2005, Sep 20-22, HongKong, 14th International Conference on Polymer Optical Fiber. (2005). 41. Lili Wang, Yani Zhang, Liyong Ren, Xuezhong Wang, Tonghai Li, Baowen Hu, Wei Zhao, Yulin Li, “Chemical fabrication techniques for microstructured polymer optical fiber preforms,” Proc 85-87, ICPOF2005, Sep 20-22, HongKong, 14th International Conference on Polymer Optical Fiber. (2005). 42. Xuezhong Wang, Lili Wang, Liyong Ren, Yani Zhang, Tonghai Li, Wei Zhao and Yulin Li, “Design and fabrication of reacting extruder for preparation of high quality microstructured polymer optical fiber preform,” Proc 139-1141, ICPOF2005, Sep 20-22, HongKong, 14th International Conference on Polymer Optical Fiber. (2005). 43. Liyong Ren，Baoli Yao，Liren Liu，De’an Liu, “High fixed diffraction efficiency in LiNbO3:Ce:Cu crystal using optimal switching from holographic recording to fixing,” Advanced Solid-State Photonics (ASSP) 2005, Vienna, Austria, February 6, 2005, WB1. (2005). 44. Liyong Ren, Liren Liu, Dean Liu, Baoli Yao, Neimule Menkea, Zhiwei Ren, Yongfa Kong, “Self-enhancement effect and optimal switching scheme for high fixed diffraction efficiency in LiNbO3:Ce:Cu crystals,” Photonics Asia 2004, Beijing，Nov 7-12, 2004, Proc. of SPIE, 5636, 329-333 (2004). 45. Liyong Ren, Liren Liu, Dean Liu, Zhu Luan, “Time-space dynamics of holographic recording and fixing in LiNbO3 :Fe:Mn crystal,” Proc. SPIE. 5206, 255-263 (2003). 46. Dean Liu, Liren Liu, Liyong Ren, Zhu Luan, Jifeng Zu, “Material optimization of doubly doped LiNbO3 crystals for high diffraction efficiency and low scattering noise in nonvolatile holographic storage,” Proc. of SPIE. 5206, 311-319 (2003). 47. Liren Liu, Dean Liu, Liyong Ren, et al., 3-D photorefractive integration of optical systems by local nonvolatile holograms in doubly doped LiNbO3 crystals, Ninth International Conference on Photorefractive Effects, Materials and Devices (Trends in Optics and Photonics Series Vol.87, 626-33 (2003). 48. Liyong Ren, Dean Liu, Liren Liu, Changhe Zhou, “Nonvolatile photorefractive holograms in doubly doped LiNbO3: uniform theory and verification,” Proc. of SPIE 4803, 53-64 (invited paper), (2002). 49. Liyong Ren, Liren Liu, Dean Liu, Changhe Zhou, “The optimization of dynamic holographic storage in photochromic LiNbO3:Fe:Mn crystals,” Proc. of SPIE. 4924, 153-161 (2002). 50. Liren Liu, Dean Liu, Liyong Ren, Changhe Zhou, Youwen Liu, “Nonvolatile holographic gratings in doubly doped LiNbO3,” The Optical Society of America’s 2002 Diffractive Optics and Micro-Optics conference, DTUA4, 80-82 (2002). 51. Dean Liu, Liren Liu, Changhe Zhou, Liyong Ren, Guangao Li, “Bleaching effect in LiNbO3:Fe:Cu crystals and its application for nonvolatile holographic storage,” Proc. of SPIE 4803 156-163 (2002). Doctors who are from developing countries might be interested in applying for a postdoctoral position throught the international co-operation project, so-called, Chinese Academy of Sciences Fellowship for Postdoctoral and Visting Scholars from Developing Countries. We hold group meeting on every Monday.